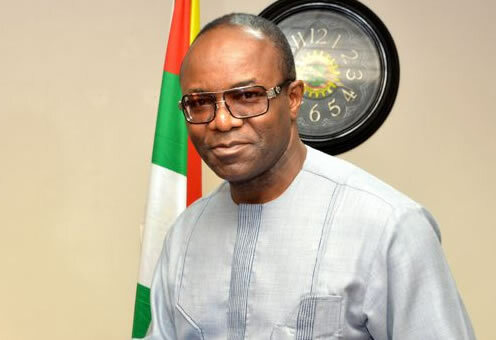 The Nigerian National Petroleum Corporation, NNPC, has described as “completely false” a widely circulated report that its Group Managing Director, Ibe Kachikwu, has been relieved of his job by President Muhammadu Buhari, saying the Minister of State for Petroleum is still carrying out his duties as assigned to him by the president. An unconfirmed report announcing the purported dismissal of Mr. Kachikwu had suddenly emerged on the Internet on Thursday afternoon. The report, which did not cite any official sources, also said Mr. Buhari had named Maikanti Baru, NNPC Group Executive Director, as Mr. Kachikwu’s replacement as head of the country’s oil company. But in a telephone interview on Thursday evening, the Group General Manager, Public Affairs Division of the NNPC, Garba-deen Mohammed, said the news is untrue. Also, a top official in the presidency who asked not to be named because he was not authorised to speak on the matter said Mr. Kachikwu remained the Minister of Petroleum and the GMD of NNPC and urged Nigerians to disregard the news of his sack.